Software Application Testing is usually the part of the project which makes grown men weep. Literally! I've seen the most organized individuals reduced to gibbering wrecks during this phase. Certainly it is always the part of the project management life cycle which I dread the most, for the simple reason that it is only at this stage that you really discover just how good the quality of the code written during the process of software development has been. Often you get a nasty surprise and BAM, then spend ridiculous hours frantically firefighting and battling to de-scope functionality in order to get the project launched. And yet at first glance software application testing looks simplicity itself. Yes it is a key part of the software development life cycle, but all it entails is analysing the BRD, project management requirements and software requirements specification (SRS), writing some test scripts and then executing them. What could possibly go wrong? Software Application Testing helps in verifying that the developed software is the same as was stated in the business requirements documentation (BRD). 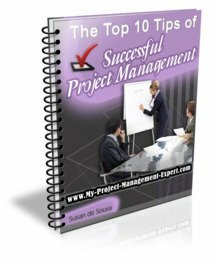 It helps in validating that the developed software is the one that the project management stakeholders and sponsors wanted. Obviously in order to do this properly you need to have a resource with good business analyst skills to explain any seemingly ambiguous requirements which have been detailed. This is to ensure the test team understand how the functionality is supposed to work in practice. Defects in any software can be caused either as a result of misunderstood requirements or coding errors. They can also be caused by incorrectly set up environments or even the wrong versions of software being deployed. Faulty software is produced when a programmer makes a mistake which leads to a defect in the software. This defect can either be a bug or a fault which may lead to systems malfunctioning or failing. Software Application Testing ensures that the new software is compatible with and will be working correctly in the environment in which it is to operate. Since this environment will usually be the live production environment it is paramount that any new software does not mess up any applications already deployed there. There are some non-functional testing of the software which needs to be undertaken such as performance, usability, security, scalability, reliability and accessibility etc. that need to be measured. However these parameters are extremely subjective in nature and vary from person to person for the level of tolerance. Software Quality Assurance is the process whereby the auditors and software process specialists form a broader view on the software, its development and functionality. Software Application Testing is a part of software quality assurance and should be audited as part of project quality management. Testing software applications doesn't have to be a nightmare, although sadly in reality this is all too often the case. It really depend on the methodology used so for example agile testing, Lean software development, RAD software development or even SCRUM methodology. And of course the resources at your disposal in your test team. This is where some proactive project resource management will really pay some dividends.